Super Eagles striker, Brown Ideye will be the record signing of Chinese Super League side, Tianjin Teda after a deal was agreed between the club and Greek champions, Olympiacos. 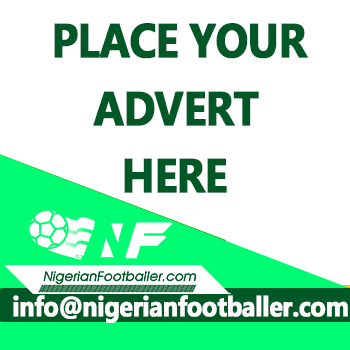 Olympiacos cashed in on Ideye as they agreed a twelve million Euros deal for their top scorer, a fee that makes him the most expensive player signed by Teda. Olympiacos reeling from the financial weight of not qualifying for the Champions League and their recent inability to pay salaries on time will be happy with the deal for a player they paid just a little over five million euros for, less than two years ago. 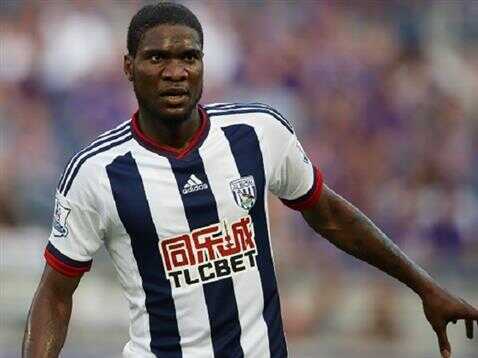 Late on Tuesday, after long drawn out negotiations, Ideye and officials of Teda agreed personal terms and the transfer will be made official by Olympiacos in the coming days. Before this deal was agreed, the previous record deal for the Chinese side was for Gabonese striker, Malick Evouna who joined from Egyptian side, El Ahly for about seven million Euros. Ideye joined Olympiakos from West Bromwich Albion in 2015 and after scoring 13 goals in his first season, he now had 15 goals in all competitions this season. Tianjin Teda only recently signed Super Eagles captain, John Mikel Obi from Chelsea and they open their Chinese Super League season with an away game against Shandong Luneng on March 4, 2017, but they will not be the only Nigerians who have played for the club. Henry Makinwa signed for Teda in July 2010 and then there was Akpo Sodje who was at the club in the 2011/12 season, signing from Hibernian. Obiora Odita was there in the 2010/11 season from Serbia’s FK Javor and then Benedict Akwuebu played there in the 2005/06 season. Alfred Emuejeraye was also on the books of Teda in 2009/10.